The L.M. Montgomery Conference is now underway and the Social Media Team will be bringing you a summary of events every day. Today's is by Caroline E. Jones. Tomorrow, Caroline will be speaking on, "L.M. Montgomery Reading (and Writing) Her World." Remember to follow @LMMI_PEI or the hashtag #LMMI2018 for the latest conference news. 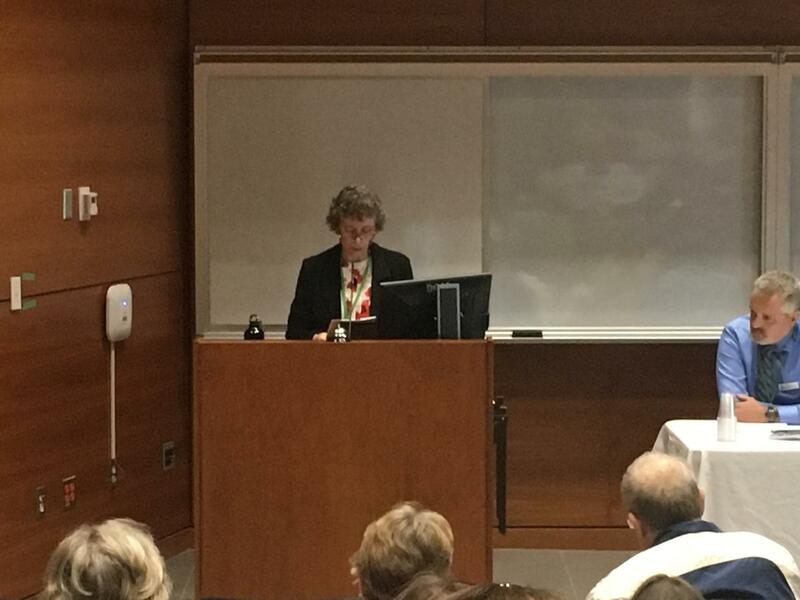 The first day of the L. M. Montgomery Institute’s 13thBiennial Conference, L. M. Montgomery and Reading, opened with many joyful reunions, welcoming back returning participants, and an especially warm welcome for first-time attendees. University of Prince Edward Island President Alaa Abd-El-Aziz arranged a beautiful Island day, and announced a special gift to the Institute of $5000—a wonderful way to open the conference celebrating the twenty-fifth anniversary of the Institute’s founding. The panels ranged widely in scope: the morning plenary, “Reading Montgomery Globally,” focused on Montgomery in Russia, Scotland, and the United States—specifically through soul legend Aretha Franklin. The “Betsy Talk,” Elizabeth Epperly’s always highly anticipated presentation explored the artist reading time’s fluid and mutable qualities through the lens of Emily Byrd Starr; unsurprisingly, the talk was very well-received and is now trending on Twitter (or at least we’re doing our best to make that happen). 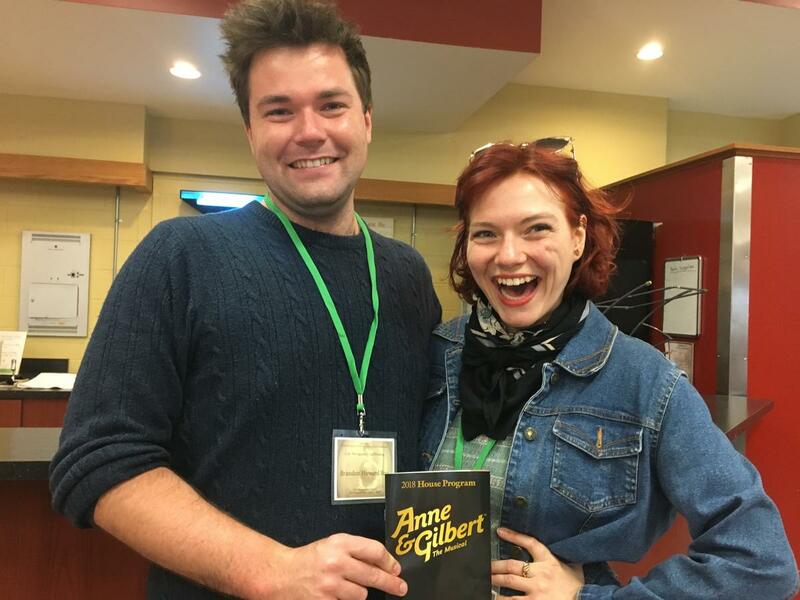 At lunch we were visited by Rebecca Griffin and Brandon Howard Roy, the actors playing Diana Barry and Roy Gardner in Anne & Gilbert: The Musical, based on Anne of Avonlea and Anne of the Island. Rebecca and Brandon also attended one of the concurrent sessions, “Expected Readings and Reader Expectations,” where they responded (from their own experience) to “A Box of Their Own,” which explored readers’ expectations of dramatic depictions of Montgomery’s characters. (We’ll have guests from the musical on Friday and Saturday as well, so be on the lookout and make them all welcome.) Other papers in that session explored chaning female readership and reading serials. Two afternoon sessions continued the morning’s global emphasis with “Intertextuality,” featuring Montgomery literary connections from the U. S., Scotland, and South Africa, and “Transnational Reading.” Other sessions focused on Montgomery reading and writing poetry and “Reading in and of Anne of Green Gables.” For more detailed descriptions of the panels and presenters, see the conference schedule, here. The day concluded with the launch of the Woster-Collins Scrapbook Exhibit, which will be available on the second floor of Robertson Library through the end of the conference, and in the library’s lobby through July. Carolyn Strom-Collins concluded her presentation with the announcement of the donation of the Woster-Collins periodical collection to the Institute. Friends of Christy Woster were especially delighted to hear about the origins of this project, and Christy’s drive to find the original sources of EVERYTHING in the scrapbooks. Be sure to follow us on social media with the hashtag #LMMI2018.